VADODARA, India, August 28, 2018 – ColorsAcademy, Rangam’s offshore skills training and career development center for children and young adults with disabilities, convened a round table on Friday, August 10 in Vadodara, Gujarat. The conference, held at the premises of ColorsAcademy, was attended by special educators, parents of children with disabilities, and representatives from local as well as national disability support groups. Among the guests were Manju Kaushal, Founder of a local parents group for individuals with disabilities; Radha Tandon, Director of the Praangan Center for Children with Special Educational Needs (SEN); Dr. Sonal Shah, Trustee, Medical Director and Coordinator at the Matushree Parsanba Charitable Trust/Sankalp Centre for Children with Disabilities; Pravir Lal, member of the governing board at Sankalp; N. K. Chawla, Vice President of Disha Autism Centre; and Priyanka Biradar, social activist. Merry Barua, Director of Action for Autism and National Centre for Autism (India), and Anita Narayan Iyer, Founder, Managing Trustee, and Chief Volunteer of the EKansh Trust in Pune, also joined the conference through video. The senior leadership team at Rangam, headed by CEO and Chief Innovation Officer Nish Parikh, made a presentation of Rangam’s global strategy and efforts aimed at developing innovative tools, programs, and services to facilitate vocational and life-skills development for individuals with disabilities as they prepare for employment. The purpose of the roundtable was to understand the challenges and learn from each other through collaboration. We would like to bring the best training programs and the right resources to India, in order to accomplish our mission of Employment for Everyone. However, to be able to do so, we have to find the right partners who can tell us about best practices, evidence-based methodologies, and the 'dos' and 'don'ts' we should follow when working with a marginalized community striving to find sustainable work in the open job market. “It was an honor to personally meet the game changers who are working tirelessly to improve the lives of individuals with disabilities in India. They are doing an amazing job on their own. The purpose of the round table was to understand the challenges and learn from each other through collaboration. We would like to bring the best training programs and the right resources to India, in order to accomplish our mission of Employment for Everyone. However, to be able to do so, we have to find the right partners who can tell us about best practices, evidence-based methodologies, and the 'dos' and 'don'ts' we should follow when working with a marginalized community striving to find sustainable work in the open job market,” Nish Parikh said. Parikh further stated that ColorsAcademy would like to tap into local, community-based employment programs – an approach that differs from Rangam’s nationwide hiring programs in corporate America. “There is a vast pool of talent with unique abilities in India. We need to start working with local non-governmental organizations (NGOs) and employers to identify, train, and employ talented job seekers. In order to start that process, we have developed a plan to collaborate with local manufacturing and retail businesses,” he explained. Merry Barua discussed the complexities of getting people with autism to work and applauded the efforts of Rangam toward creating a system of inclusive employment utilizing technology and collaborative strategies. She also emphasized the need to educate and empower parents. N. K. Chawla touched upon the importance of having local training and therapy centers for individuals with developmental disabilities. He also thanked Rangam for offering support to students at Disha through the ColorsKit series of educational apps. 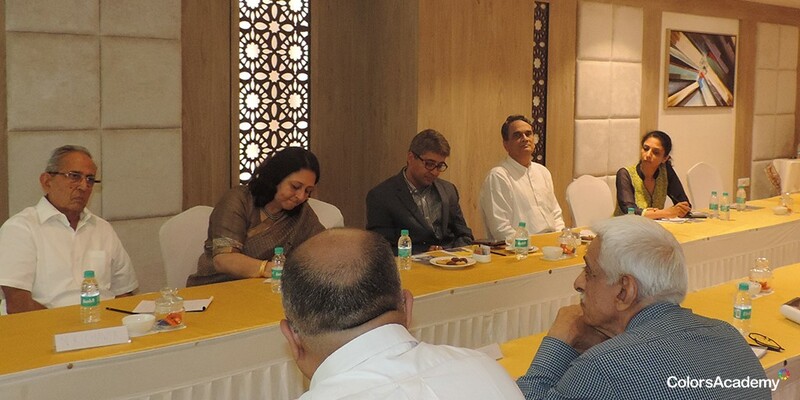 “The roundtable was an appreciable initiative to get the key stakeholders to interact with each other. We should continue to organize similar events in the future, since sharing knowledge multiplies it,” Radha Tandon wrote in a thank-you note. Established in 1995, Rangam is a high-performing diverse supplier of enterprise-wide stafﬁng services in IT, clinical, scientific, healthcare, engineering, government, finance and administrative sectors. Rangam is a certified WMBE that has consistently grown year over year while establishing a history of providing exceptional service to clients. We pride ourselves on developing a culture of inclusion and collaboration through innovation in special education, disability hiring and re-employment of veterans. We at Rangam improve the quality of life for our candidates while providing exceptional service to our clients. We do this by delivering an integrated recruitment solution that combines technology, training, and education to our candidates while providing our clients with a large, diverse network of qualified personnel options. We adhere to a philosophy of “empathy drives innovation” in everything we do. For more information about Rangam, please visit https://rangam.com. ColorsAcademy is where pre-academic learning needs of children with special needs are met with ColorsKit – an award-winning special education platform that helps children and young adults with disabilities acquire social, motor, executive functioning, self-regulation, and various other vocational as well as life-skills that are necessary for living and working with dignity and a certain level of independence. For more information about ColorsAcademy, please visit http://www.colorsacademy.com.